There is an obesity problem in America. Educating children about eating a balanced diet is the most important thing we can do to prevent further increases in obesity. As a child, I had to stay at the dinner table until I ate all my vegetables. I remember one time that I sat at the kitchen table at least an hour after dinner was over, pouting over my turned-cold broccoli. I eventually choked it down. I learned that it’s important to eat a balanced diet, and now I choose to eat my broccoli. Thanks Mom and Dad. 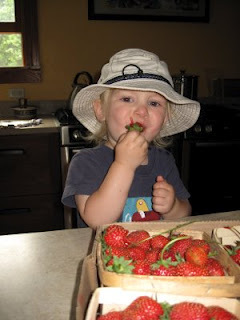 If children eat fresh fruits and vegetables from an early age, they will actually like to eat some of them. Just ask my 7-year-old niece and 5-year-old nephew if they like beets and brussel sprouts. (They do). Any headway made on reducing childhood obesity depends on parents taking responsibility for their children’s diet and educating them about it. Several studies based on exposing children to healthy foods by their parents increase children’s acceptance of that food. Giving a bite of vegetable to a child every day for 2 weeks exposes them to that food and increases the consumption and likability of that food. Dr. Lucy Cooke of the University College of London recently demonstrated that exposure to a healthy food followed by a tangible reward of a sticker increased their intake and liking of that food as well. (Not to brag, but I had a pretty big sticker box as a kid – and I never got any for eating vegetables!) There has been a lot of media coverage lately on a study claiming that children’s food choices were affected when silly names were associated with vegetables. Although the authors conclude that the silly names increased vegetable intake, I don’t think the experiment was well-controlled. The baseline vegetable consumption of the control group before the intervention was 1.8-23.5-fold higher than that of the treatment group, depending on the vegetable. That means, the children who were served the silly-named vegetables were eating a lot less vegetables at the beginning of the study (and intake at the end of the study was still less, for 3-out-of-4 vegetables, in the treatment group than the control group without the silly names). For example, if Paul in the control group ate 4 carrots at the beginning of the study, and he ate 5 carrots at the end, that would be a 1.25-fold increase. If Sally ate 1 carrot at the beginning of the study, and then they called carrots “X-ray Vision Carrots” and she ate 3 carrots, that’s a 3-fold increase. Look what happened when you gave carrots a silly name! You just can’t compare these groups well with the simple statistics they used. Perhaps these conclusions were made because the people who performed the study were marketing guys (and I believe, marketed loose data to the public). Nevertheless, children are influenced to some extent by marketing, but they are influenced more by what those around them (parents and peers) are doing. It’s the parents’ responsibility to make sure their children are eating a healthy diet. Along the same lines, there is an uproar over the new government regulations for subsidized school lunches. I found the clip below from The Daily Show to be humorous (and fairly accurate) – it spawned this post (and the title). Children need to learn to eat healthier, but if parents and schools don’t teach them that, then the obesity rate will keep on rising. Advice to children in the immortal words of John Stewart: Eat your motherf*cking lunch. “Sugar is toxic.” Sugar itself is not toxic. You actually need sugar to live. Your brain needs 6 grams of glucose (a type of sugar) per hour to work properly. In addition, when your muscles and other tissues cannot take up glucose to create energy, as in the case of type 1 diabetics, you will starve to death. Think of it this way: you need water to live, but if you drink massive amounts of water, you will die within hours. If you drink massive amounts of sugary drinks, your pancreas will pump out more insulin to remove the sugar from the bloodstream, and after a while you might become obese, then you may become insulin resistant, some people might become diabetic, and only then will you cause major organ damage. Considering the time it takes to kill you after overconsumption, water is more toxic than sugar. “There is no foodstuff on the planet that has fructose that is poisonous.” Lustig was trying to make the point that humans WANT to eat fructose because of evolution and we instinctively know it’s safe to eat. I’d like to see his analysis of fructose content on holly berries, sweet peas, and the other poisonous foodstuffs listed by a poison control center in Philadelphia. “We were born this way.” He is obviously a Lady Gaga fan, promoting her song, “Born This Way”…ok, that’s untrue, just trying to add some levity here…he just states that we are born to love fructose. Yes, we may enjoy eating fructose (it has the highest sweetness out of all of the natural sugars), but I still don’t buy the claim that we are prone to it because of evolution and poisonous things. “[In the 1970’s] a government commission mandated that we lower fat consumption to try to reduce heart disease.” This is true, governmental attempts to lower fatty foods did not make us healthier. Some foods were processed down until the fat was removed, but all the sugar, salt, and calories were still there, and usually some chemicals added in to replace the fat. However, there was no real regulation of fatty foods and many ‘low-fat’ items on the shelf were always considered ‘diet foods’ that people did not eat consistently. People still gravitate toward high-fat foods. Sugar alone did not increase American adult obesity to 36%. You can order a Double Quarter Pounder with Cheese from McDonald’s which has 740 calories, more than half of those calories coming from the 42 grams of fat. But it only has 9 grams of sugar! It won’t make you fat! Again, this is just not true. (Just to be fair to other fast food chains, an Extra-Crispy Chicken Breast at KFC will set you back 510 calories, 290 of those come from the 33 grams of fat…but only 1 gram of sugar!) You need a well-rounded diet of protein, carbohydrate, and fat for your body to function properly. Telling people that sugar is toxic creates the next “scare” that Lustig said happened with fat 40 years ago, and obesity rates will keep increasing. “If you limit sugar, it decreases the chances of developing cancer.” Dr. Lewis Cantley’s example that cancer cells have insulin receptors and will therefore take up excess glucose from the bloodstream and grow into tumors was probably the most shocking to me. Insulin receptors bind insulin (which is secreted from your pancreas and into the bloodstream after every meal) and if cells have certain glucose transporters, insulin ‘tells’ those transporters to move from inside the cell to the cell surface. This results in increased glucose entry into the cell. Many cells in your body have insulin receptors such as muscle, liver, fat, and brain. Muscle (skeletal and heart) and fat cells have the glucose transporters that are ‘activated’ by insulin. There is no data that I am aware of which claims cancer cells can take up more glucose than any of the other cells in your body. Also, insulin signaling (what happens inside the cell after insulin binds the insulin receptor), once activated, is eventually downregulated by a negative feedback system. Insulin cannot just sit on an insulin receptor and hang out, causing cancer cells to keep sucking up the sugar, or blue dots, as the schematic on the television show would like you to believe. “Every cell in our body needs glucose to survive, but the problem is, these cancer cells also use it to grow.” Once again ALL CELLS that have the insulin receptor use glucose to grow. Period. “Sugar is much more addictive than we thought early on.” These scientists seem very careful with their wording. Dr. Eric Stice showed that dopamine was released in Gupta’s brain when he drank some soda. Activation of taste receptors on your tongue cause dopamine to be released in the brain, no matter what the food. If a person likes spinach, the same dopamine receptors will light up in MRI brainscans, especially if the person is hungry at the time. Dopamine regulates feeding behavior, and not just for sugar. Maybe sugar can be addictive, but so can so many other things (including suntanning, as I mentioned in my Tanners Anonymous post). We can’t possibly regulate every choice people make. Our meta-analyses of controlled feeding trials indicate a net metabolic benefit, with no harmful effects, from fructose at a level of intake obtainable from fruit (Nature. 2012 Feb 23;482(7386):470). 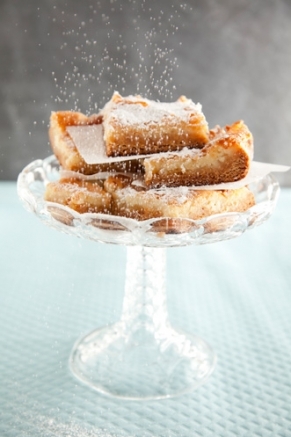 To describe sugar as “toxic” is extreme, as is its ludicrous comparison with alcohol…Nutritionist Jennie Brand-Miller of the University of Sydney is not alone in her disgust that you published this opinion piece (The Australian, 4 February 2012). The Dietitians Association of Australia believes that it is simplistic and unhelpful to blame sugar alone for the obesity crisis. Alan Barclay of the Australian Diabetes Council notes in the same article in The Australian that sugar consumption in Australia has dropped by 23% since 1980. But he adds that during that time, the number of overweight or obese people has doubled, while diabetes has tripled (Nature. 2012 Feb 23;482(7386):470). Overconsumption of foods that have a high glycaemic index (that trigger a rapid and sharp increase in blood glucose), such as wheat, potatoes and certain types of rice, also contributes to obesity and diabetes. Emphasis on sugar alone is therefore too narrow a basis for devising policies to curb these problems (Nature. 2012 Feb 23;482(7386):471). Rather than demonizing sugar, the authors would have better served public health with recommendations to manage a balanced diet with exercise (Nature. 2012 Feb 23;482(7386):471). The Food and Agriculture Organization of the United Nations, the US Food and Nutrition Board, and the European Food Standards Authority have all considered the issues now revisited by Lustig et al. and find no reliable evidence that typical sugar consumption contributes to any disease apart from dental caries. Without evidence that reducing sugar consumption would improve public health, Lustig and colleagues’ policy proposals are irrelevant. Scientific controversies should be settled by consideration of all the available evidence, not of a seemingly biased selection (Nature. 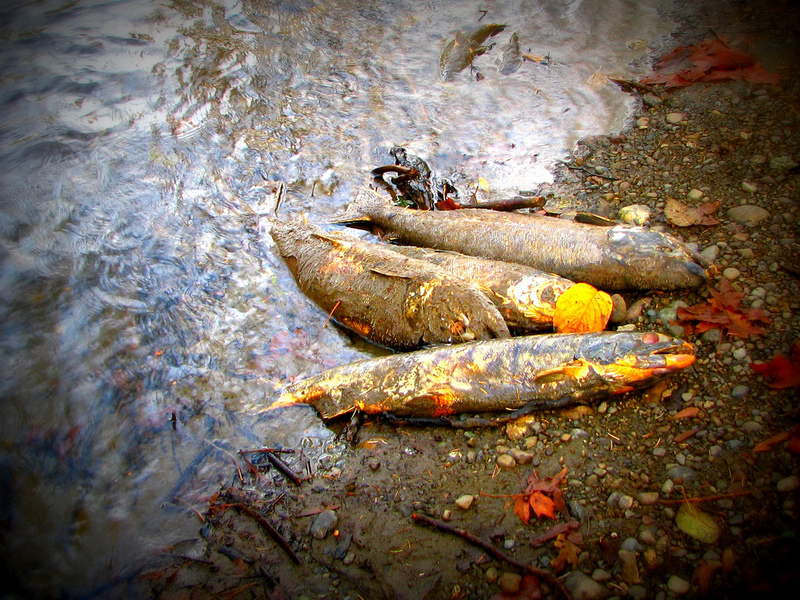 2012 Mar 8;483(7388):158). I appreciate the attention the ‘Western Diet’ is getting (the diet high in refined grains, sugar, fat, and red meat), as there are major problems with it that lead to obesity and diabetes, but presenting hypotheses as fact to scare the public is not the way to do it. 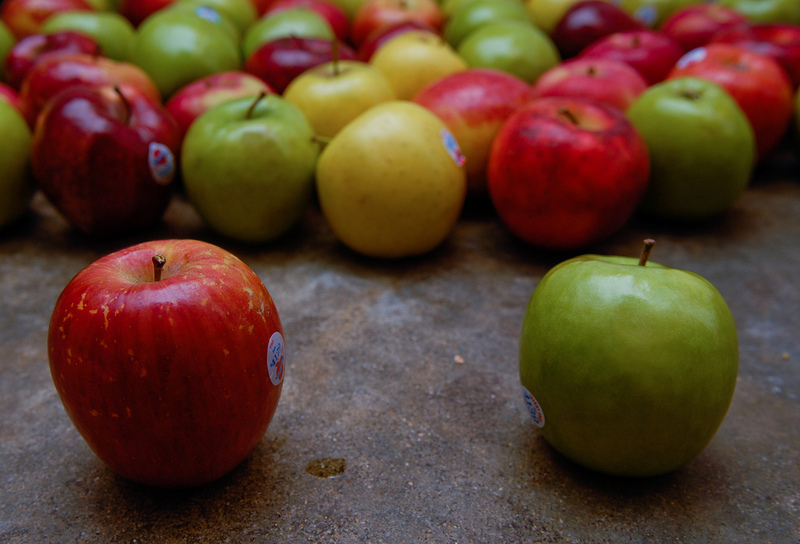 This is how fad diets are created and may cause people more harm than good. Educating the public with real information and making it easier for them to make good dietary choices is the best way to battle the bulge. I say, it probably is best if you don’t drink sugary drinks everyday, but having one every once in a while will not kill you. And enjoy that apple. 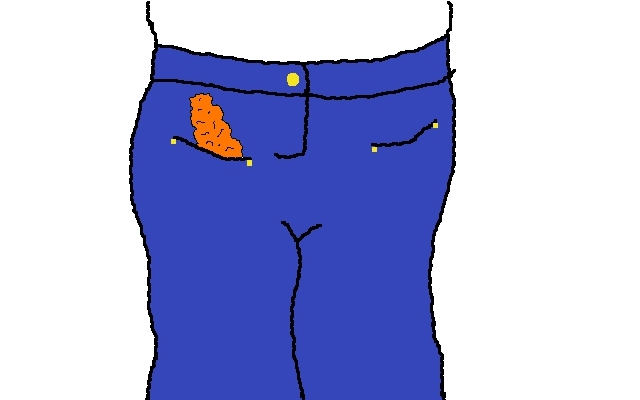 Is That a Pancreas in Your Pocket? When most people hear the term ‘vital organ,’ the pancreas doesn’t usually pop into their head. However, the pancreas is vital for survival, keeping your blood sugar in check. That’s why artificial pancreas trials are so exciting. A majority of Type 1 diabetics are diagnosed as children or teenagers, and must live the rest of their life with insulin injections or insulin pumps, which they control themselves. Having a machine to automatically adjust insulin and glucagon injections based on continuous blood glucose monitoring would make diabetic life much easier. This is especially important in young children and during times when awareness of low blood sugar is impaired by low blood sugar itself (or during sleep), as the brain needs 6 grams of glucose per hour to function properly. When blood sugar levels drop too low (hypoglycemia), a person can go into a coma or die because their brain and organs are not getting enough glucose as fuel to survive. When you eat a meal, carbohydrates and other sugars get broken down or converted into glucose, which circulates through the bloodstream. The pancreas contains clusters of endocrine cells (cells that secrete hormones into the bloodstream) called Islets of Langerhans. The majority of cells in the islet are beta cells which secrete insulin and alpha cells which secrete glucagon. The beta cells sense the glucose concentration in the blood and secrete insulin in response, which travels through the bloodstream to other organs. The insulin signals to those tissues (such as muscle, liver, and fat) to take up the glucose from the blood into the cell to be used for energy or stored for energy later. High blood sugar (hyperglycemia) results from lack of beta cells (in the case of Type 1 diabetics) and the tissues ‘starve’ because they are not getting the signal to take up and process glucose from the bloodstream. The body then tries to remove the glucose from the blood through excess urine production. This is why poor glycemic control over time can damage the kidney and transplants may be necessary, although hyperglycemia causes many other complications such as microvascular diseases and nerve damage. Normally, when a person becomes hypoglycemic, glucagon is secreted from pancreatic islet alpha cells, traveling through the bloodstream to the liver. Glucagon signals to the liver to break down glucose stores (stored in long, branching chains called glycogen) and release glucose into the bloodstream. If both insulin and glucagon are provided in a regulated manner, blood glucose levels can be adjusted accordingly. 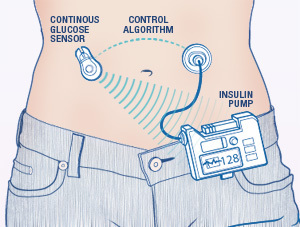 The current insulin pumps provide a basal infusion of insulin to help keep blood glucose levels steady, but they are under the control of the user and must be manually adjusted throughout the day, especially during eating (more insulin) or exercise (less insulin). Most diabetics prick their finger several times a day to test their blood glucose levels, as continuous blood glucose sensors are not widely used and still need calibrated at least twice a day with finger pricks. People using insulin must be aware of rapid declines in their blood glucose levels; if their blood sugar drops too low, they must eat or drink high sugar foods or injest glucagon tablets to restore normal glycemia. It is imperative that artificial pancreas blood glucose sensors are accurate and able to sense downward trends exceedingly well. If a person starts exercising, muscle tissue is more sensitive to insulin and can even take up glucose independently of insulin because the need for energy (glucose) is greater. If the sensor cannot perceive the drop in glycemia quickly and accurately; confusion, coma, and death may follow. Combining better automatic blood glucose sensing with insulin and glucagon infusion in a bionic pancreas is a major step towards creating a better life for diabetics. Getting the technology reliable enough is the challenge. I’m guessing no one could have read the news a few weeks ago without glancing upon Paula Deen’s announcement that she now has Type 2 diabetes. I’m not sure why this was such big news, other than she was making it that way for personal profit. You know, people see me on TV two or three times a day and they see me cooking all these wonderfully Southern, fattening dishes. That’s only 30 days out of 365. And it’s for entertainment. And people have to be responsible. Like I told Oprah a few years ago, honey, I’m your cook, not your doctor. You are going to have to be responsible for yourself. Her saying, “I have always encouraged moderation” of unhealthy foods hurts many more people than her recipes ever did. A healthy diet and exercise can alleviate the symptoms of many cases of Type 2 diabetes, and there is currently no drug on the market that cures this disease. Of course moderation is key to a healthy lifestyle, but moderation is not the technique people use to top 300 pounds. People need tools other than pure self-control when they are making lifestyle changes. If you are going to publicly promote diabetes awareness and treatment, you cannot tell them you’re not their doctor, so don’t listen to what you have to say and watch what you do on your cooking show every week. I’ve seen The Next Food Network Star and I know you are never supposed to say, “Through the magic of television I have this baked Alaska right here.” However, I feel as though that’s exactly what Paula Deen has done. She is basically saying, “Through the magic of this one drug for diabetes, you can eat whatever you want and there will be no dire consequences.” Did Tracy Morgan send out a press release when he was diagnosed with diabetes? He lost a kidney because of this disease, even after he lost weight and tried to control his blood sugar better. Perhaps stories like his should be front-page news as a warning to those who do not manage their diabetes properly and eat all the gooey butter cake that Paula Deen teaches them how to make. As a diabetes researcher, I’m well aware of the atrocities that high sugar and fat consumption wreak on the body. We have an obesity and Type 2 Diabetes problem in this country, there’s no denying that – have you seen the CDC heat maps over the past four years? Yet, I disagree with those in the field that are calling for a tax on sugar. Setting age limits and taxes on sugar and sugary foods will not protect Americans from obesity and diabetes. Have age restrictions and excise taxes on alcohol decreased the number of alcoholics in this country? First of all, the government is currently keeping production and importation of sugar high. Domestically, farmers get subsidized for corn production, a portion of which is processed into high fructose corn syrup (although much of it can be used for other things such as ethanol…and…corn). Internationally, sugar is imported from other countries tax-free. The U.S. Sugar Program Fact Sheet, yes there is such a thing, states, “Sugars that receive preferential tariff treatment under free trade agreements such as the North American Free Trade Agreement (NAFTA), the Central American/Dominican Republic Free Trade Agreement (CAFTA/DR), the Caribbean Basin Economic Recovery Act, the Andean Trade Preference Act, or the U.S. Generalized System of Preferences enter at a zero duty.” That’s nada, nothing, zilch, zip, in other words, no tax on imported sugar. If the government were to institute a substantial consumer tax, that would theoretically decrease demand and keep supply high with subsidies and tax-free trade. This would not be a logical step for the government nor towards reducing America’s dependence on sugar. You also have to think about consumer habits. People pay for Starbucks coffee because they enjoy it, they know the quality and consistency of the product, and they can buy it practically anywhere. People buy Ding Dongs for the same reasons. They will not change their lifestyle because they have to pay a few cents more. I do applaud the idea behind encouraging people to eat healthier, but there needs to be proactive changes in communities and families, such as increasing access to healthier food and ease of preparing it, rather than government restriction of unhealthy food. I know the Boston Tea Party was mainly about taxation without representation, but I can still imagine all the marine life that would die of hyperglycemic complications when all that sugar gets dumped into Boston Harbor in protest of high sugar taxes.